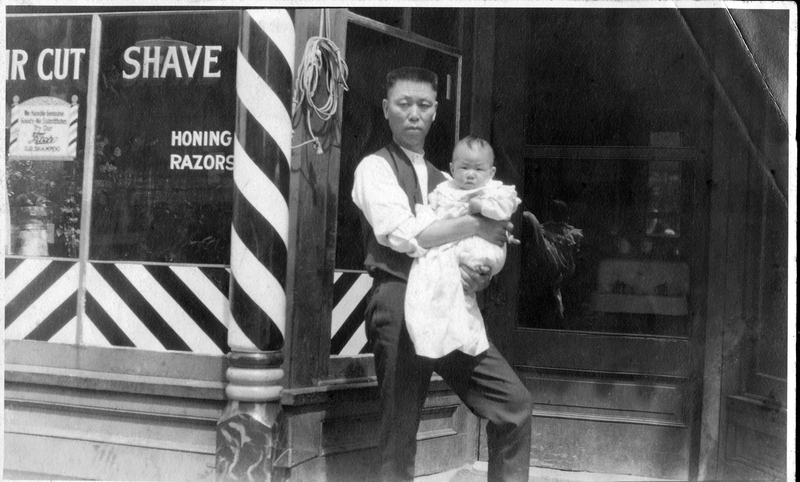 One of the finds from the 100 year old shed were photos from my Grandfather Hisakichi’s barbershop. It would appear these are from about 1917 through 1930. His shop was in the Hotel Fujii at 620 South King Street in Seattle, WA. Being raised here in America, it is not only striking to see my grandparent’s barbershop but it is so unlike those of other barbershop photographs of that time being manned by “non-Caucasians”. Is that best way of putting it? You can see the hair tonics that were used as well as the Koch porcelain barber chairs. Through the help of my friends interested in WWII history, we believe the calendar indicates shows “Thursday, October 9, 1930”. Grandfather Hisakichi is at right. Due to the blur, we are uncertain if the lady on the left is Grandmother Kono…but the gal in the center is very attractive. In this picture below, a “no nonsense” Grandfather Hisakichi is holding my Aunt Shiz; this would put the photo as being taken in 1917. According to my dad a couple of weeks ago, Grandfather would work the shop by himself during the slow times but would bring in others as the season changed. They lived upstairs in a room at the hotel. It is difficult to imagine he supported the family with this one barber shop but you would think he worked hard and was a sound businessman in a foreign country. Oh… Since WWI was raging, he registered for the draft. Ninety years later, I thank him. Don’t you wish you could walk in to that barbershop, get your hair cut and a shave. And see your Grandfather in his prime, working for his family, in a new country. I’ve always admired the courage a man or woman has to pack up from a world they know, and move to one they don’t. I’ve admired their determination to make a new life. And I’ve admired the hard work they put in to their world to create a new life for themselves, and be part of building the country they move to. But I truly love this history and am amazed at the pictures. I wish the barber shop were still there. ahaha! you apparently have something to hide?? Your grandpa looks like a family guy and a very successful businessman. I wonder if there were a lot of barbershops at that time in that city. My dad, who is still alive and kicking at 94, said up to about 1928, he remembers even Caucasian customers coming to get a shave from Grandma although other shops existed. 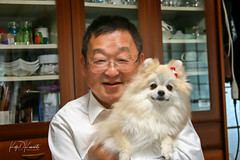 Apparently, she was very good and made the customers happy… But not my Grandpa Hisakichi! LOL He was the stereotype Japanese husband/father from that era. But there weren’t many Japanese barbershops that I know of…and certainly, ALL on the West Coast disappeared in April 1942. 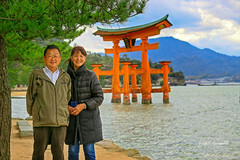 But he was able to make a small nest egg in Hiroshima where he died in 1940.